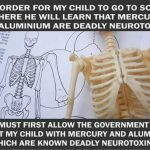 Antivax Myth: “Vaccines contain toxic aluminum” - Vaccine F.Y.I. 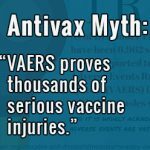 Fact: Aluminum quantities present in vaccines are very low compared to our daily exposure, and pose an extremely low risk. 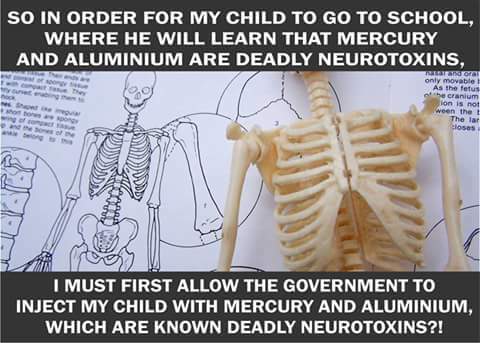 Research shows that long-term exposure to high quantities of aluminum might cause damage to bones and brains. 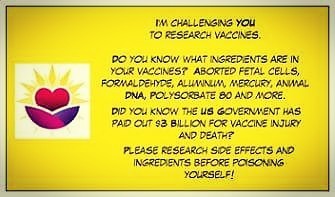 Aluminum is listed as one of the ingredients on the package insert for many vaccines. 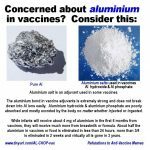 Aluminum in vaccines causes Alzheimer’s disease later in life. 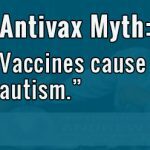 Aluminum in vaccines causes autism. 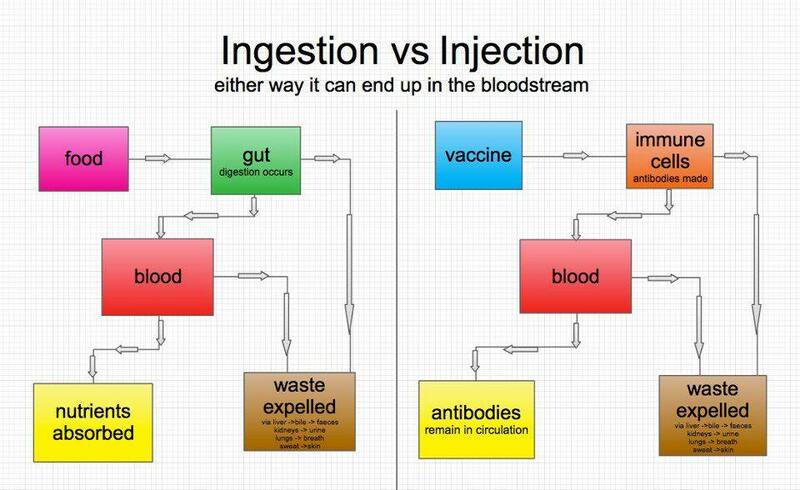 Injecting aluminum puts far more of it into your bloodstream than when it is ingested. 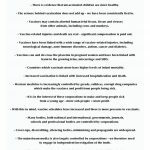 Aluminum is highly abundant in the environment, in our water, and in our food. 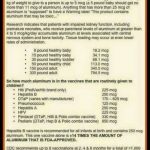 Adults ingest around 7 to 9 milligrams (mg) of aluminum each day. 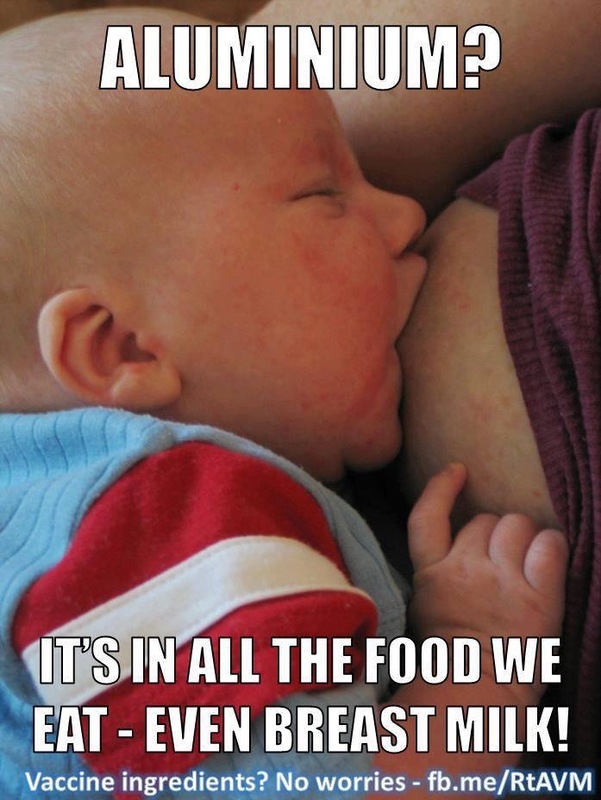 An exclusively-breastfed baby will receive 7-10 mg of aluminum in the first six months of life. Aluminum in vaccines is not elemental aluminum but in the form of aluminum salts (for example, aluminum hydroxide). 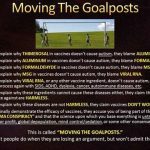 It is used as an adjuvant. 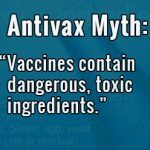 Adjuvants help enhance the immune response in vaccines which do not contain a live virus. 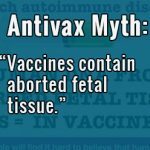 They make it possible to reduce the quantity injected and the total number of vaccine doses needed to develop immunity. 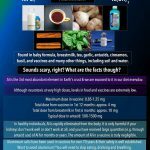 Aluminum salts have a very low bioavailability, meaning the proportion that is able to have an active effect on the body. 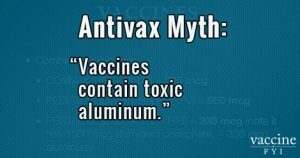 The safety of aluminum as an adjuvant has been tested extensively for 75 years, and found to be safe. 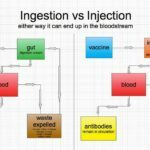 Compared to eating or drinking, the injection of vaccines does have a more direct and immediate effect upon the bloodstream (after being injected into muscle). 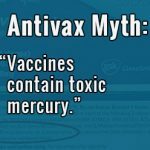 However, the quantity of aluminum injected is far outweighed by the amount already found in the blood from our food and water. 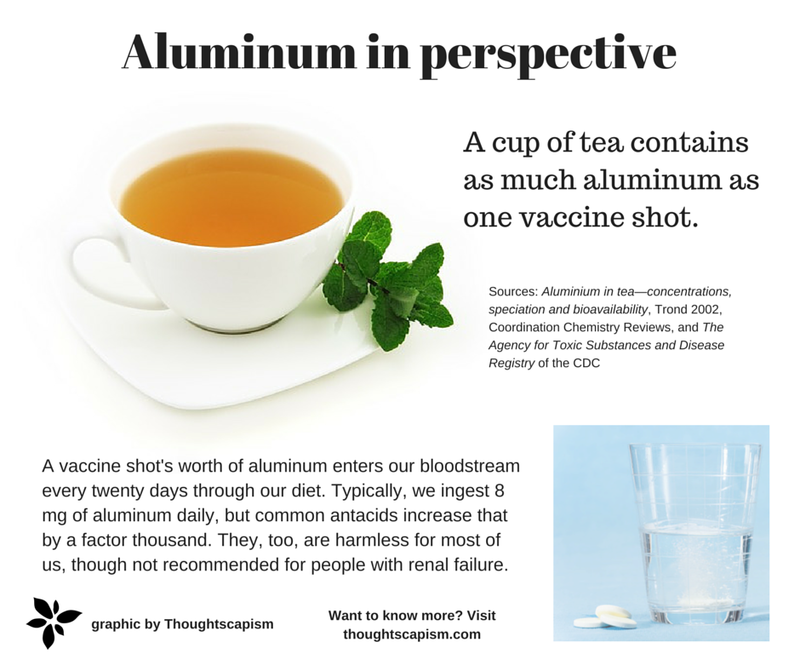 Toxic levels of aluminum are typically only experienced by people with a high occupational exposure (via inhalation), or those with impaired kidney function. 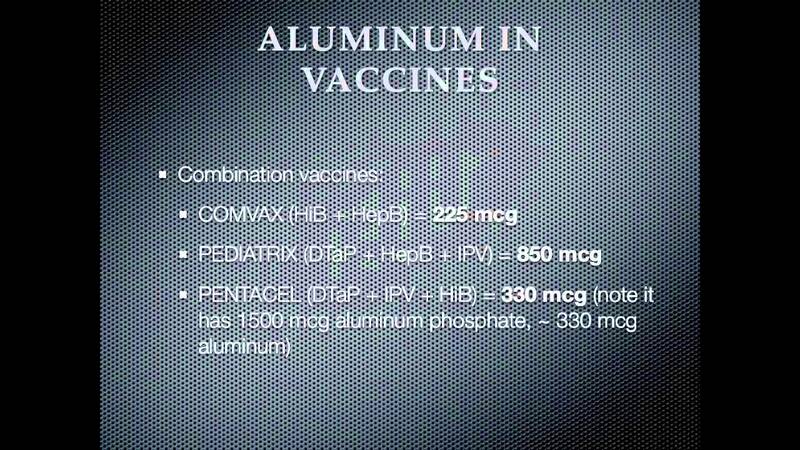 Pediatric vaccines that contain aluminum contain only 0.125-0.85 mg per dose. 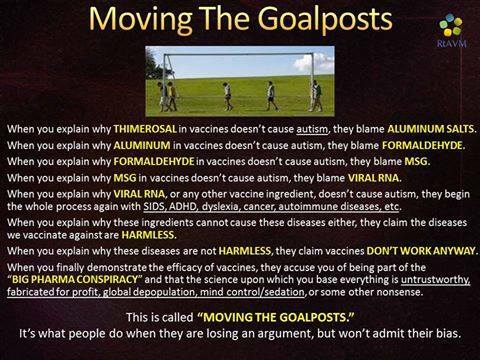 It would take far, far more than that to generate any toxicity. 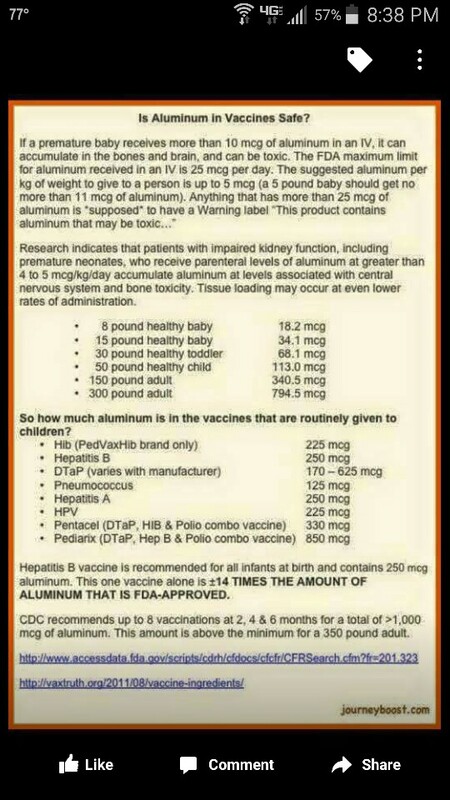 A six-month-old infant would have received by that time only 4 mg of aluminum from vaccines. 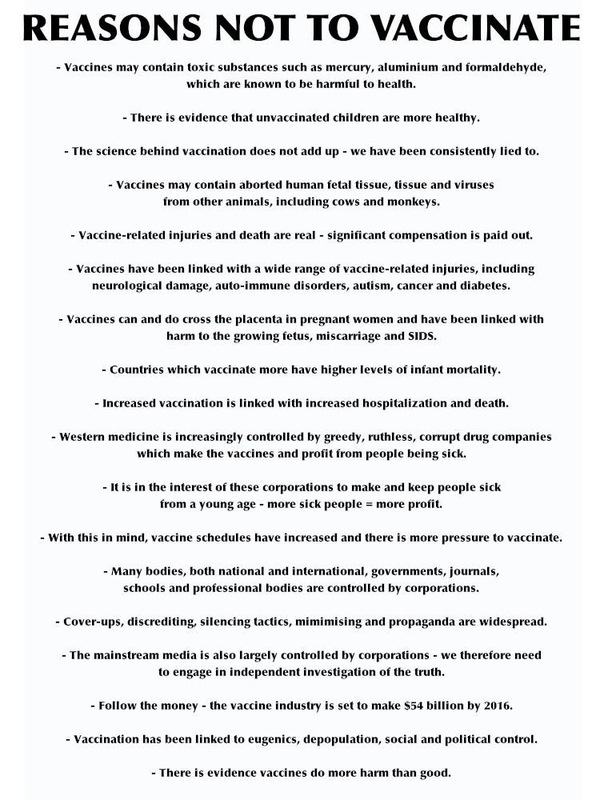 Routine exposure to aluminum from vaccines has been found to be an extremely low risk. 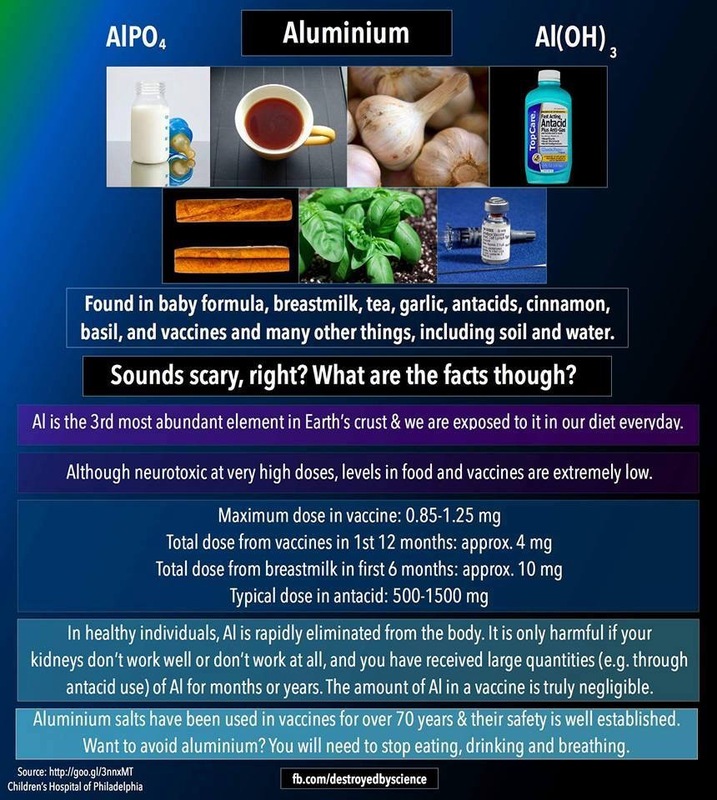 Below are listed the quantities of aluminum per dose found in some common children’s vaccines. 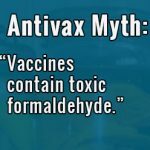 Side note: Sometimes, anti-vaccine activists will write “0.125 mg” as “125 mcg”, so as to make it look scarier when stating ingredient quantities. A microgram (mcg, or µg) is one millionth of one gram—a stick of gum divided by one million. 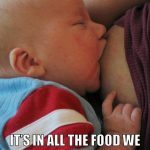 It takes one thousand mcg to make one mg. 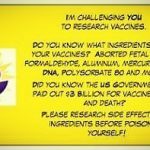 The claim that aluminum contained in vaccines contributes to Alzheimer’s disease is not supported by research. 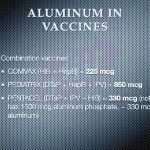 Paul A. Offit, MD, discusses why aluminum is in vaccines and the safety of those small amounts. 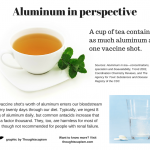 Paul A. Offit, MD, explains the difference between aluminum injected in a vaccine and aluminum ingested through food and water.